Believe it or not, it’s officially fall. Are you ready for pumpkin spice everything? Texas Agriculture Commissioner Todd Staples has been named the next president of the Texas Oil and Gas Association. Staples says he will leave office prior to the end of his term, which is January 2015, to begin his new role. With the beginning of fall comes TV premieres. There are several shows that feature young actors with Texas roots—ABC’s Black-ish, ABC’s Manhattan Love Story, Fox’s Gracepoint, The CW’s The Flash—to name a few. Will you tune in? San Antonio’s Tobin Center for the Performing Arts is now open to the public. 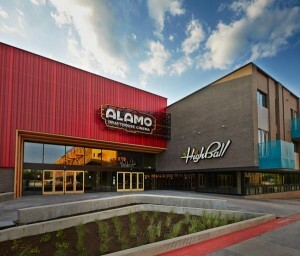 Prior to its opening, San Antonio was the largest city in the U.S. without a performing arts center. The new center is state of the art, and with the press of a button, the space can be changed from a concert venue with traditional seating to a flat-floored dance hall. In 23 minutes flat. The Highball recently reopened with seven new pop culture themed karaoke rooms. You can sing your heart out (in or out of tune) in rooms reminiscent of Twin Peaks, Super Mario Brothers, and The Shining. The Highball’s own CEO, Tim League, offers his personal karaoke do’s and don’ts. The same could be said for the Texas Legislature. Have some dance moves ready.